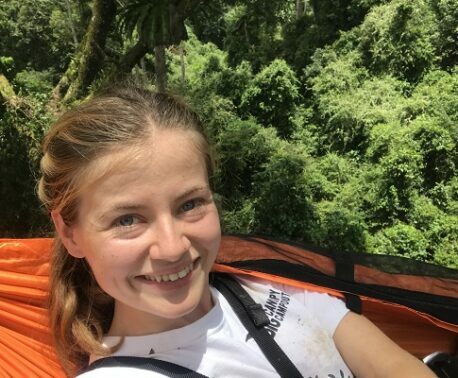 A Council member of World Land Trust (WLT) has generously agreed to match donations to Steve Backshall’s fundraising campaign up to £10,000. On 3 April 2015 Steve will be embarking on one of the toughest events in the UK endurance calendar, the Devizes to Westminster (DW) kayak race. He is carrying out the challenge to raise funds to support WLT’s conservation projects in Colombia. So far Steve has raised nearly £2,500 through his fundraising webpage. This is almost £5,000 with match funding. As followers of Steve will know, he has a passion for all things ‘deadly’. He has travelled the world and been inspired by some of the planet’s most dangerous predators. He has had close encounters with sharks, tarantula and giant squid, as well as being charged by elephants. Despite many terrifying experiences, he still maintains that wild animals pose no threat to people – in fact quite the opposite. One of the animals that he is most in awe of is the Golden Poison Frog (Phyllobates terribilis). Possibly the world’s most poisonous frog, the species has been protected since 2012 in a reserve which WLT helped create with support from Puro Coffee specifically to ensure its survival in the wild. 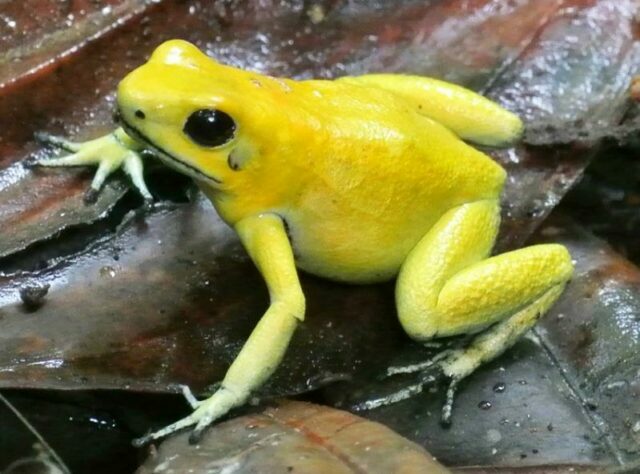 The funds raised by Steve through the DW race will be used to safeguard the Golden Poison Frog and ensure protection for more land (which could well hold more poison dart frogs). Some of the land saved will be purchased through WLT’s Buy an Acre programme, where tropical forest costs £100 an acre in the Chocó region of Colombia. Severely threatened, the Chocó forest is one of the world’s wettest and most biodiverse habitats and holds many species at risk of extinction. WLT’s conservation projects in the region are designed to expand and better protect reserves that are threatened by expanding agriculture, illegal logging and mining. WLT has been working in partnership with Fundación ProAves since 2008 to protect Chocó forest habitat, which extends from Panama, through north-western Colombia into northern Ecuador.